Do you feel you are performing at your peak and do you have great energy? Are you juggling a demanding schedule and do you need to be on top of your game with optimal energy to have peak performance as an entrepreneur or leader? While society has us focused on counting calories, a pant size, and our external youthful appearance, there is a huge epidemic happening on the inside that we silently accept, adjust, and persevere through. In a way, its a new dis-ease due to our fast paced lives, high stress, the demands and accessibility of technology, and the impacts of negative energy in our work and global environment. There is a way to positively influence and manage this dis-ease; I believe it is a shift in perspective and approach that needs to happen for all of us to truly reach our peak performance because it encompasses all areas of our lives, being, and an exploration beyond the physical body. It is called Peak Energy Performance! What is Peak Energy Performance? Peak Energy Performance is the science and practices to optimize one’s peak energy levels including a variety of energy sources to elevate people so they can perform at their peak. The key here is peak energy is individualized to each person because we all have different energy levels so high performance will vary for each of us and therefore it is crucial to not compare your performance to someone else’s. Sometimes high performance or the ambition to be a high performer is actually depleting people’s energy and exhausting them, so it truly is about maximizing your own peak energy so you can perform at your best. The other crucial factor for you to understand about peak energy is that it is not just physical energy we are exploring like the nutrients we put in our body and exercising which are important; however, this Peak Energy Performance encompasses a holistic perspective that takes into account the many sources of energy that impact you daily including emotional, mental, environment, and more! Why is Peak Energy Performance Important? We are impacted by multiple energy sources daily including our own mental, emotional, physical, and environmental energy. Add on to this the impact of external stressors in our day, being impacted by others energy, the harmful effects of prolonged technology use depleting us and no wonder we are all struggling with our energy. 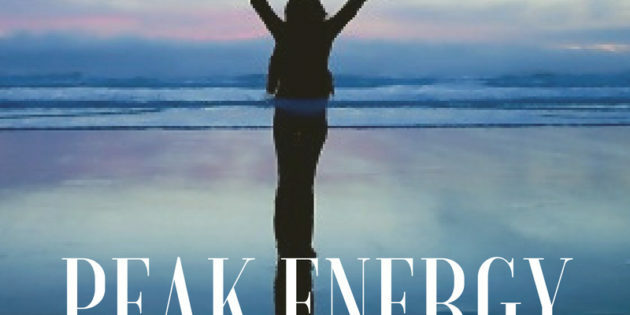 Peak Energy Performance is important to empower people with the knowledge and understanding of all the elements that impact our energy and to give people a holistic approach to increasing their energy so they will reach new levels of peak performance. It is not only focused on attaining results, but also in optimizing our physical, mental, and emotional states. There is so much emphasis on the body, doing specific tasks, and habits of high performance, but where peak energy performance is different is it fuels the engine of our entire being; thereby filling our energy tanks first and optimizing our brain, heart, emotional state, body, and our environment so we are then able to have peak or high performance. To perform at your peak and have optimal energy, you need to have alignment and coherence in your entire body, your whole being, and your daily environment. I developed Peak Energy Performance because I saw a need for a more holistic approach to performance that serves both men and women and combines the most modern findings and teachings on energy. Peak performance has long focused on the physical body and for years now there is an evolving body of knowledge on energy beyond our body and if we disregard or turn a blind eye to all the energy sources that impact us, we are doing a disservice to ourselves and limiting our full ability to perform at our peak. In addition, as a women in business and a leadership coach for women, I saw the need for a more feminine approach or influence to high performance and peak performance. Also, working with entrepreneurs and leaders who are juggling demanding and never ending ‘to do lists, there is a great need to manage ones energy to reach deadlines, but still take care of one’s health. Here is how Peak Energy Performance evolved for me and how I combine all my education and experiences to compliment its breadth of scope. I have had a 20 year career in the health and fitness industry as a certified personal trainer and hold a diploma in Kinesiology from SFU so I fully embrace the physical aspects of peak performance and high performance. Then, I grew into the industry of business coaching and have been an entrepreneur for 10 years which allowed me to understand the demands on business owners I advised as well as my own experiences of energy fluctuations and performance. To compliment this, I became certified as Women’s Leadership coach which gave me insights into the impacts of societal conditioning, long held limiting beliefs, and environment stress which deals more with mental, emotional and environmental energy. After this, I went on to learn more about neuroscience and how our brain works when we communicate with others and became certified in C-IQ. It was eye opening about how much this science spoke to energy and how our communication style actually affects the chemistry of others. This examines the effects of people and our work environment on our energy. Lastly, I got introduced to Heart Math and the science behind our heart and how we can control our heart coherence, which is the connection and alignment of our thoughts, emotions, and physiology. Our heart and our emotions hold energy that can be felt by others within a 3 meter radius around us so others are affected by the energy of our heart and the emotions we feel and they in turn impact our physical and mental energy. The reason for sharing my path and its evolution is that Peak Energy Performance encompasses the energy of our brain, beliefs and thoughts, the energy of our emotions and communication with others, the energy of our body, and even the impacts of the energy in the environments we live and work in. The idea that our ability to be high performers and have peak performance is solely linked to our physical and logical actions was no longer acceptable. All of these teachings based in science made me realize we need to expand our approach of peak performance and high performance so that it includes the energy in our thoughts, beliefs, emotions, environment, and our heart. What is your emotional state? What emotions are most prominent? The emotions that give us heart coherence and a higher energy vibration that then in turn impacts our physical and mental being are those of love, gratitude, appreciation, compassion, joy and excitement. Just start by acknowledging the emotions you have with compassion. Then without being able to give you a whole guided experience here, focus on a positive emotion you want to feel and embody the emotion with breathing into your heart. What thoughts or beliefs do you have that may be negatively impacting your energy? Write those beliefs or thoughts out on paper so you can see them. Would you say this to a friend? Would your friend say that about you? Rewrite the thought or belief to empower, uplift, and energize you in a bold statement and then say it aloud repetitively. Is your current living environment either at home, your workplace, or even on a larger global scale impacting your energy? How can you improve or manage the effects of your environment to protect your energy. What could you do to increase the positive energy in your environment? Assess your physical health in regards to sleep, exercise, nutrition, focus, stress, rest time, and yes fun! How is your communication with others and the communication of others with you? Is the exposure to negative communication impacting your energy levels or performance? Is a negative communication style affecting your focus, ability, and emotional health? Take steps to address this, limit your exposure or possibly remove yourself from this environment. C-IQ and the neuroscience of communication can definitely facilitate a difficult conversation for you. My mission with Peak Energy Performance is to elevate you with a holistic, energizing high performance method that gives you the results you want while also increasing your physical, mental, emotional, and environmental energy to feel great and thrive! If you want to learn more, want to increase your energy or are seeking a peak performance coach, contact me at jody@jodykennett.ca .